This is the Castle Creations Phoenix Edge Lite 160HV Brushless ESC. 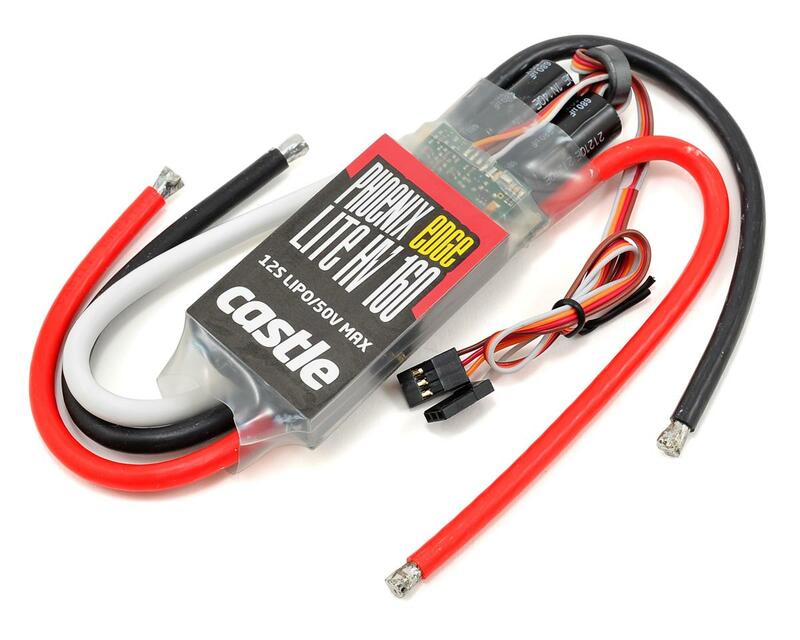 Put your power system on a diet with the Phoenix Edge Lite series of ESCs. With the same amazing features and functionality of the Edge series, the Edge Lite offers a slight weight reduction for applications that are tight for space or weight. Simply put, the same brawn with less body - Phoenix Edge Lite. The Phoenix Edge series is intended for use in helicopter and airplane applications up to 50V. As always, the Edge series of controllers offer industry-leading software functions, data logging, and USB programming capability via Castle Link USB adapter. Programmability: Fully programmable Castle feature set using Castle Link USB adapter and freely downloadable Castle Link Windows software. Castle Field Link Programming Card (sold separately) compatible for select functions. *RC HOBBY APPLICATION RATING: 160 amps with appropriate cooling. 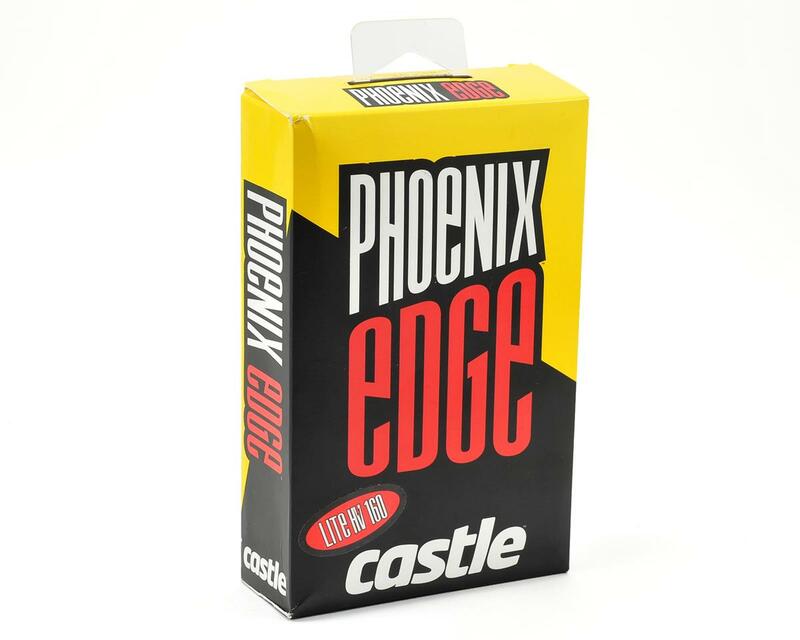 Phoenix Edge Lite controllers are designed without a heat-sink for applications with extreme air-flow, such as EDF planes, or applications with average current requirements much less than peak current requirements. Controller temperature must never exceed 100C (212F). Exceeding current or temperature ratings may damage components and shorten the life of the ESC. Always verify system current draw at full-throttle. Decrease load or increase airflow to decrease the ESC’s operating temperature.